Joseph Maus was born in Long Island City, New York on May 19th, 1898. He was the third child of Nicholas and Elizabeth (Kunz) Maus. He graduated from Public School No. 6 in Astoria, Queens and was a member of St. Mary’s Roman Catholic Church in Jamaica, NY where he played on the parish baseball team “composed of young men from the parish”. 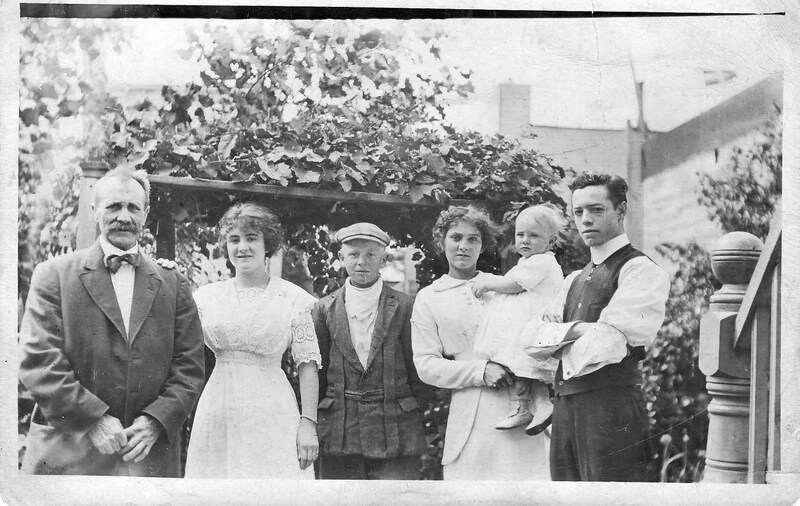 He and his father lived with his older sister Madaline and her husband John J. O’Farrell at 231 Jeffrey Avenue. 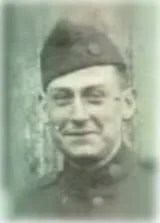 When he was 18 years old, Joe first enlisted in the 71st Infantry Regiment of the New York National Guard on May 8th, 1916. 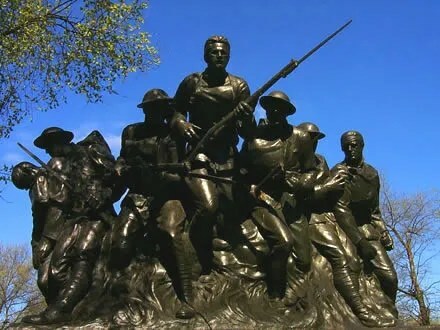 From June to September of 1916, Joe served during the Mexican Border Campaign by defending the Rio Grande River near McAllen, Texas as part of the New York Division. 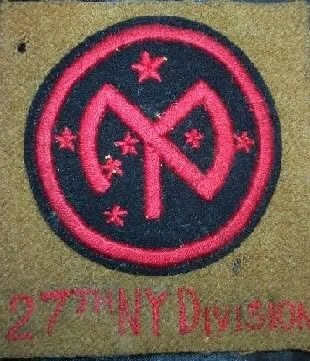 The distinctive insignia of the 27th Division combines a stylized “NYD” monogram for “New York Division” along with the 7-star constellation of Orion which plays on General O’Ryan’s name. 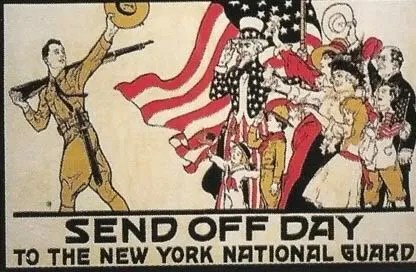 The 27th Division participated in a large send-off parade in New York City on August 30, 1917 before traveling by rail to the Camp Wadsworth training cantonment at Spartanburg, South Carolina. 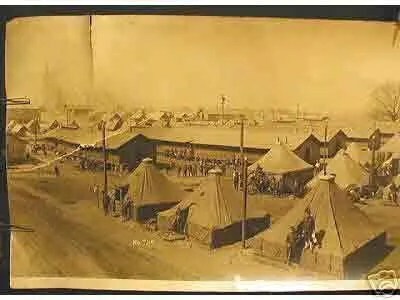 The Division remained in training at Camp Wadsworth for nine months before traveling to Newport News, Virginia where it embarked on the “Bridge of Ships” for France on May 17, 1918. It was at Newport News that Madaline and John visited Joe just prior to his departure and “made a new man on him”. 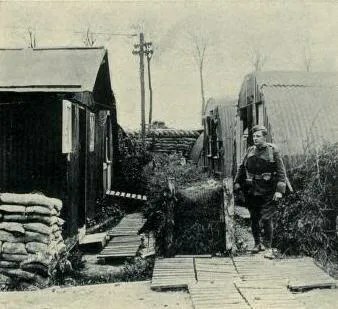 After arriving in France, in early June the 27th Division continued to receive intensive training under the British Army in the areas of Picardy and Flanders. 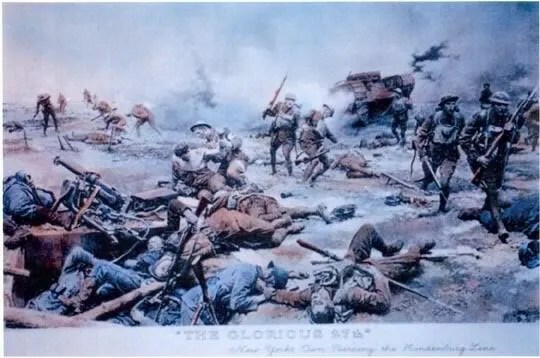 In August-September 1918, the 27th Division engaged German troops during the Ypres-Lys Offensive which was an Allied effort to reduce the Amiens salient created during past German offensives of March-April 1918. The responsibility for the opening assault on August 31, 1918 fell to the 53rd Brigade including the 105th and 106th Infantry Regiments. 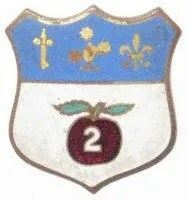 On September 4, 1918 the entire 27th Division was relieved, transferred to the British 3rd Army command and was stationed in reserve near Doullens. The Somme Offensive was then launched on September 24, 1918 with the objective of breaking the Hindenburg Line. 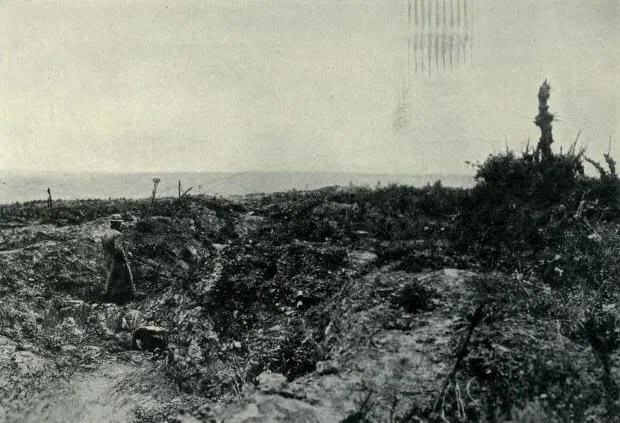 As part of this operation on September 27, the 105th Infantry moved forward in attack and made initial gains near Quennemont Ferme, Guillemont Ferme, and fortified heights called “The Knoll”, before being driven back by German counter-attack. 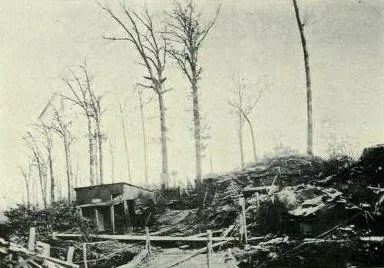 On September 29th, the 105th Infantry attacked “The Knoll” again but was checked with heavy casualties. 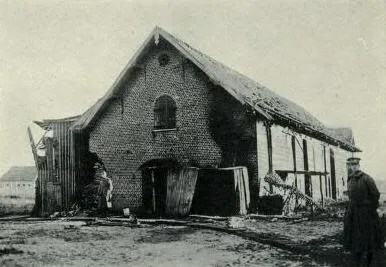 It was during this attack that Corporal Joseph Maus was killed in action, one of 1,609 casualties in the ranks of the 105th Infantry during the war. Today, Corporal Joseph Maus is buried in the Somme American Cemetery at Bony, in Picardy, France (Plot B, Row 15, Grave 10). 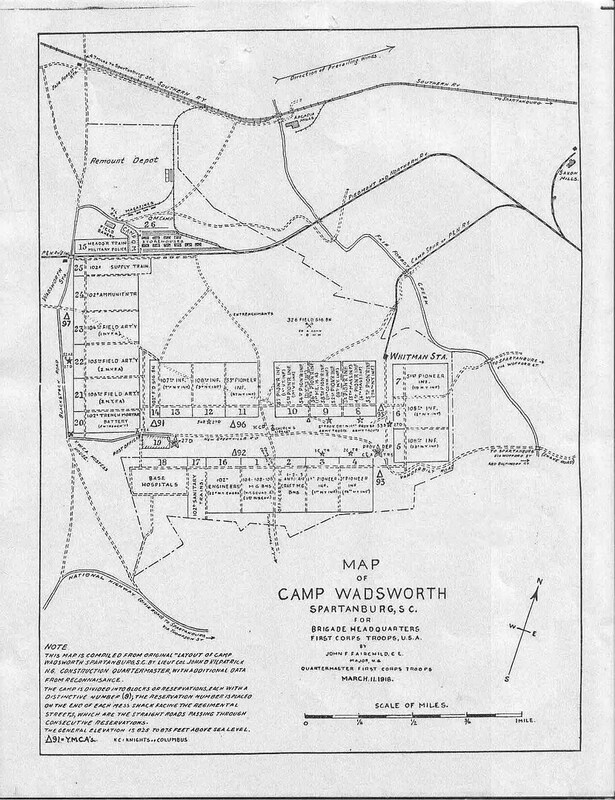 ORIGINAL FILM OF 27TH DIVISION ON THE MARCH TO THE SOMME. ORIGINAL FILM OF 27TH DIVISION IN REAR AREA AT THE SOMME. ORIGINAL FILM OF 27TH DIVISION TROOPS BURYING THE DEAD AT THE SOMME. The correspondence contained in the Joseph Maus Collection includes letters, postcards and “war postals” exchanged between Joe and his family living on Long Island, New York; sister Madaline, brother-in-law John O’Farrell (Madaline’s husband), and his father Nicholas. Other references in his writings include his sister Anna and nephew Bob (pictured above), along with his girlfriend Priscilla. Joseph Maus was my great grand uncle. Several years ago I hired a genealogist to help me trace my ancestry. During this process, we came across several other photos of Uncle Joe as well as the original Western Union telegram reporting his death. I would be happy to share these if you would like. 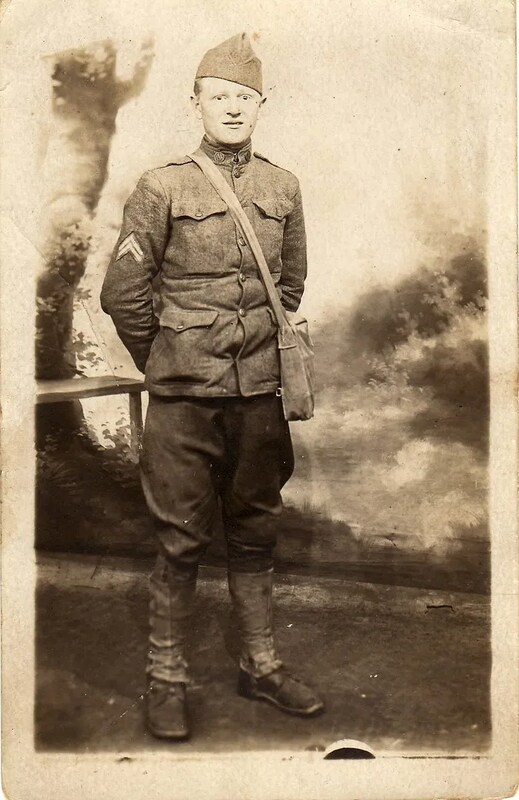 Great stuff I just found out my grandfather served in wwi with the 106th inf.company d.They may have fought together. 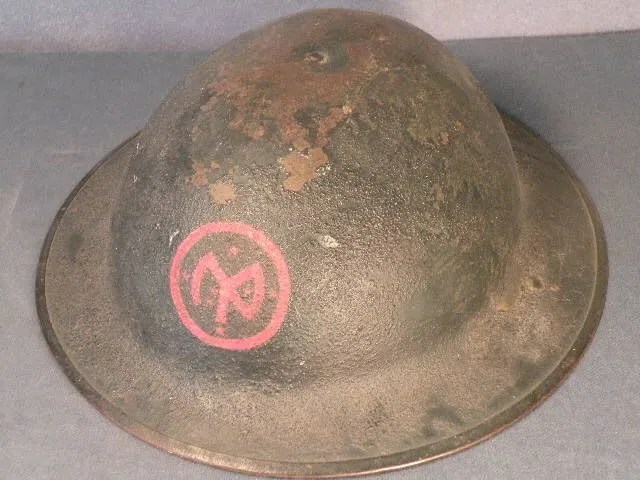 quite interesting, i am researching Troop I, 121st cavalry, new york national guard, buffalo, ny…….tey went to the mexican border also and later became the 102d mortar battery of the 27th division….i am interested in any added information that helps put this puzzle together. Hello Elizabeth. 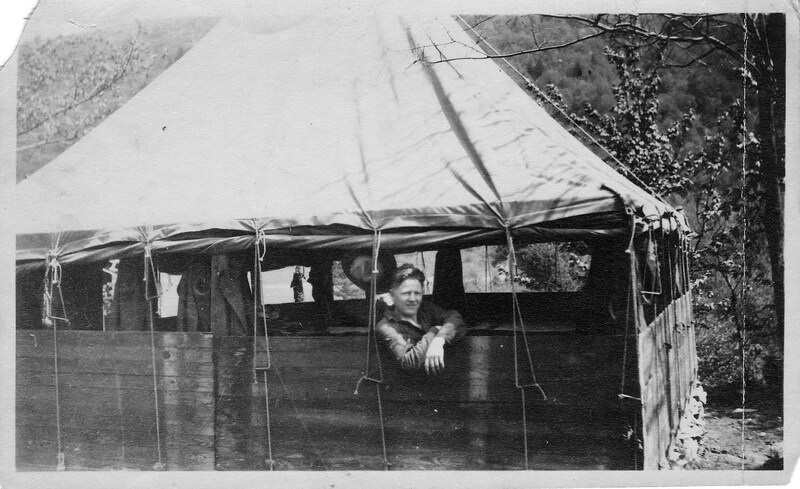 Was your father (John J Ward) the same one that later served with the 101st Field Artillery during WWI? I am trying to track down any information about him because I believe that he is the same John J Ward that wrote a post-war statement for my great-grandfather, Charles Coffin Gurley (Watertown, Mass). He might not be the same Ward, since the handwritten letter states that John J Ward is a Sergeant in the 104th Infantry.